The proliferation of personal devices that share information online exposes potential security threats such as data breaches, identify theft and stolen information. Securing your information online is complicated and confusing because you need more than one solution to cover data across multiple devices as well as online. Protecting data across multiple sites on the web is a key challenge highlighted by The New York Times. My three teenagers, husband and myself all have smartphones, putting our privacy at risk every time we shop online, pay at a store, use social media, or access public WiFi. 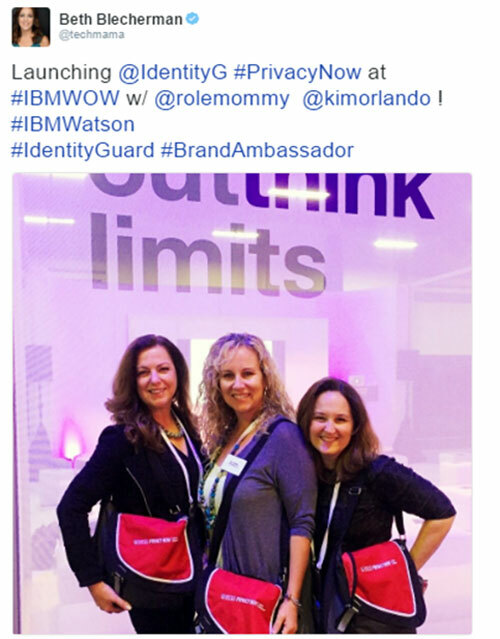 When Identity Guard, a leading provider of Theft Protection, contacted me to be one of their Brand Ambassadors at IBM’s World of Watson conference and help share information on their new Privacy Now product I was excited to learn more. Privacy Now combines financial account monitoring and comprehensive monitoring of consumers’ self-reported data (behavioral, social, professional) with a proprietary risk algorithm that monitors the web as well as expanded public record data and other relevant safeguards. So instead of always being in reactive mode you can have tools with threat alerts that have actionable steps. 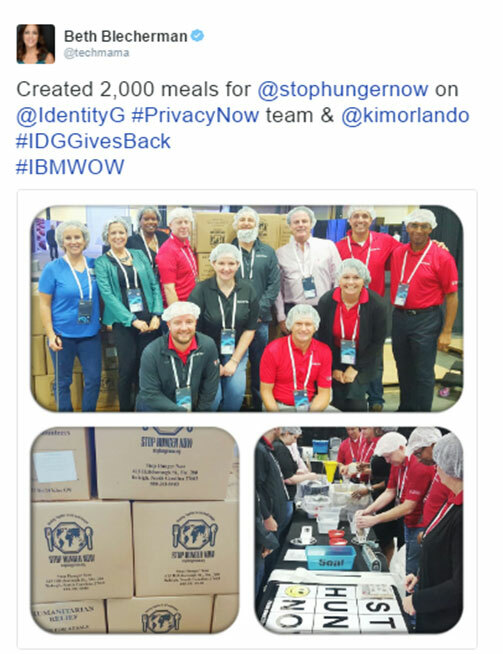 At IBM’s World of Watson I had the opportunity to interview the Privacy Now team, participate in a demo and join the team’s social good project with Stop Hunger Now. I look forward to taking Privacy Now for a test drive! Personalized Privacy Protection: Privacy Now™ learns about lifestyle and habits through an pool of questions that build your profile. As Privacy Now™ learns more about how you live, your protection becomes even more personalized. 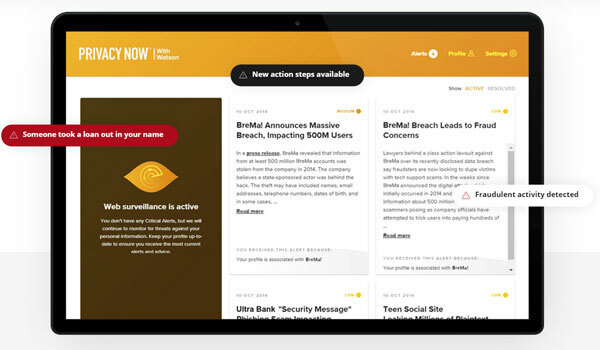 Early Detection and Personalized Alerts: Using cognitive computing built with IBM Watson™ technology, Privacy Now™ searches hundreds of thousands of news sources daily to detect potential risks. When one of the risks detected applies to your profile, Privacy Now™ sends a Threat Alert. A Threat Alert is a push notification delivered to your mobile device and to your Privacy Now™ alert queue. Its purpose is to highlight the most pertinent details of the risk and present actionable advice to help you address, resolve, or prevent threats against your personal information. 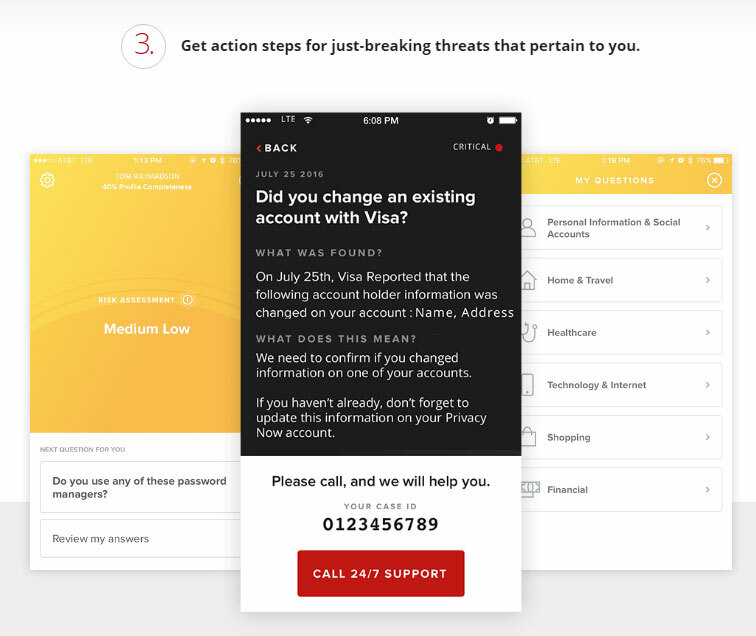 Take Action: When you receive a Threat Alert from Privacy Now™ there are actionable steps to help protect your personal privacy. Watson™ cognitive technology plus the Privacy Now™ proprietary algorithm deliver these personalized alerts as soon as the threat is confirmed. This means you have the opportunity to take early action with your data, accounts, and passwords—often before problems affect you. Comprehensive Risk Assessment: Privacy Now™ keeps you up-to-date on your comprehensive risk assessment by changing color depending on your overall threat level. 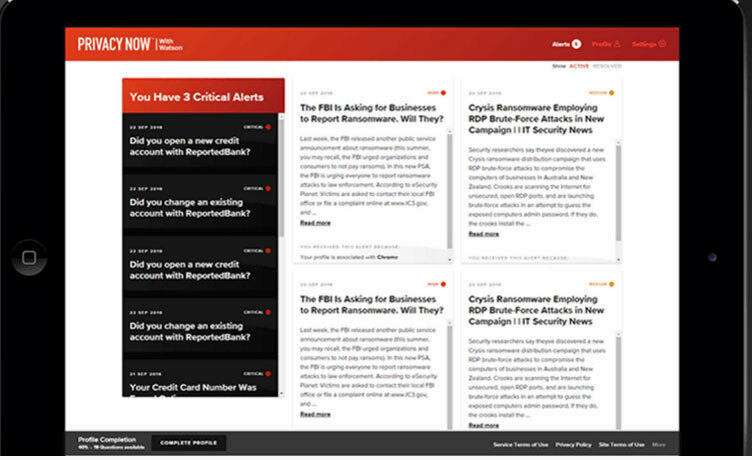 By taking steps to resolve your threat alerts, your Privacy Now™ risk level improve. If new threats occur, Privacy Now™ automatically changes color again and alerts you to take further action to protect your identity. Identity Restoration: They offer comprehensive identity restoration if a theft ever reaches this stage with identity theft insurance. 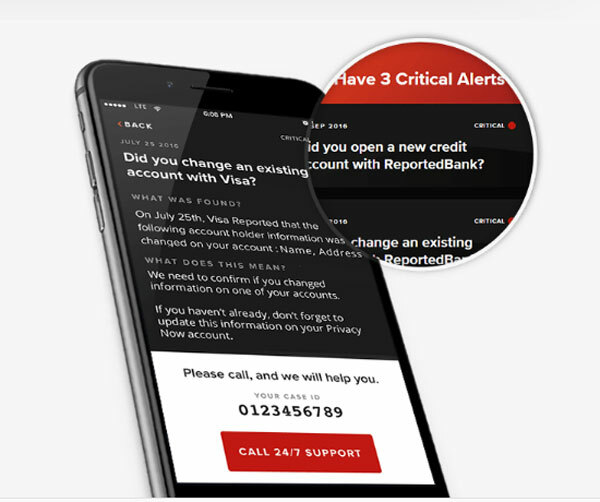 The service supports subscribers with personalized action steps when suspicious activity is confirmed, automatic case openings when activity is flagged, 60-day post resolution case monitoring following case resolution and a resource library. 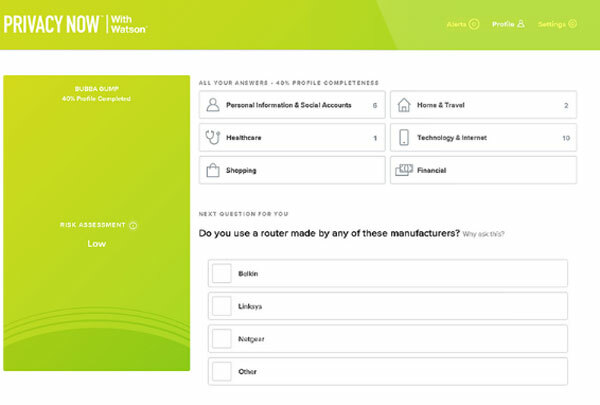 The Ongoing Power of Watson™: Privacy Now™ with Watson™: The Privacy Now™ proprietary algorithm and Watson™ cognitive computing searches for new threats which is an evolving, intelligent system of identity protection that helps to keep pace with the changing risks of our times. It scans hundreds of thousands of news articles daily and custom delivers alerts and recommendations that match your profile and lifestyle. They also scan the dark web, public records, and more. IBM Watson’s cognitive computing is a powerful tool to analyze large amounts of unstructured data, including unstructured text, images, audio and video. Watson’s Alchemy Data News API enables Privacy Now™ to digest more than 250,000 news articles from 75,000 sources every day to flag news that could impact a consumer’s digital safety. Alchemy Data provides news and blog content enriched with natural language processing to allow for highly targeted search and trend analysis. When Privacy Now™ combines its advanced monitoring of various data sources with the Watson Natural Language Classifier API, it can quickly interpret the information users report via a survey when accessing their account. Privacy Now™ can use that analysis to help determine that user’s risk level to cyber security threats. The service interprets the intent behind text and returns a corresponding classification with associated confidence levels. The return value can then be used to trigger a corresponding action, such as redirecting the request or answering a question. Are you worried about the data breaches and privacy across your devices?